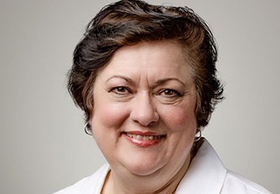 Cathy Eddy, founder and president of the Health Plan Alliance, a trade association for provider-sponsored insurance plans, is retiring at the end of April. The organization announced on Monday that Joe Lastinger, a former Baylor Scott & White Health executive, will take over as president effective immediately. Eddy started the alliance in 1996 while she was vice president of managed care and clinical affairs at what is now known as Vizient. She served there for 25 years, beginning in public policy and later spearheading the company's national community health improvement initiatives. She is a member of the board of trustees for Rockledge, Fla.-based Health First and the system's health plan. She also recently served on Albuquerque-based Presbyterian Health Plan's board, where she also chaired its quality committee. Lastinger was most recently system vice president of strategy and market development at Dallas-based Baylor Scott & White. Before that, he was CEO of the North Texas Accountable Healthcare Partnership, a regional healthcare improvement collaborative serving 145 hospitals and 7 million residents.